Home » General Seremban (News) » Seremban Escape Room: The world’s first triple story escape room – Firefighter: The Ultimate Challenge! Seremban Escape Room: The world’s first triple story escape room – Firefighter: The Ultimate Challenge! 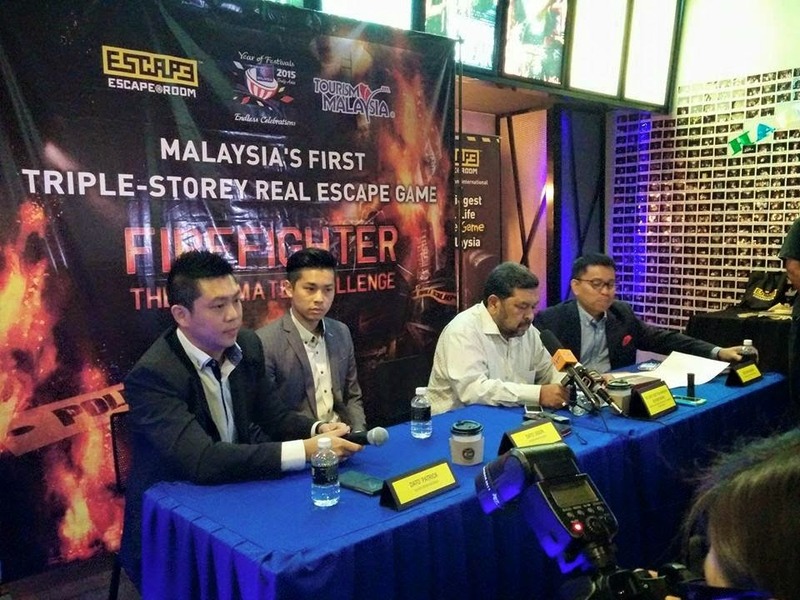 An official press conference was held on March 23rd by Escape Room International in Seremban, Malaysia to celebrate the release of their newest game – Firefighter: The Ultimate Challenge. Speakers at the event included representatives from Escape Room International (including two of its co-founders) and various tourism operators in Malaysia. Firefighter: The Ultimate Challenge places you as a firefighter graduate who is preparing for the final test before becoming a real firefighter. Turns out the Head Marshal of the firefighter academy wants to really test the graduates this time and gives the worst possible scenario he can give – a chemical factory on fire. Using your fitness and mental skills – you only have 45 minutes to pass the final test. Will you pass the firefighter test? On the banner at the press conference it states Firefighter is “Malaysia’s First Triple-Storey Real Escape Game” but I haven’t heard of another triple-storey escape room in existence before. Could this be the world’s first triple-storey escape room expansion? The only other recent escape room I know of which is building upwards was Escape Games Canada’s theme – The Haunting of Noriko – a two storey haunted house adventure. Will there one day be a fourth-storey escape room in existence? Or even an entire skyscraper that will be used to play an escape room across a massive scale? Or an entirely different perspective could be escape rooms that expand underground – with participants starting at the bottom level of the escape room (which would be underground), then making their way up a level which would be the ground floor level. This idea was inspired by Sims 4 which recently released an update allowing players to build a room underground, for example a storage basement under their bakery business. Thanks for reading Seremban Escape Room: The world’s first triple story escape room – Firefighter: The Ultimate Challenge!